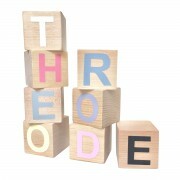 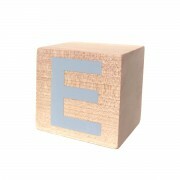 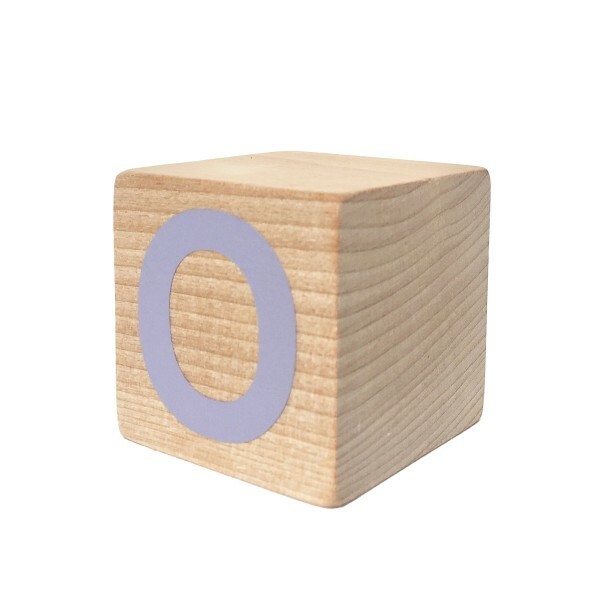 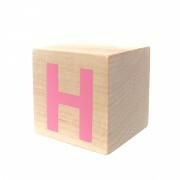 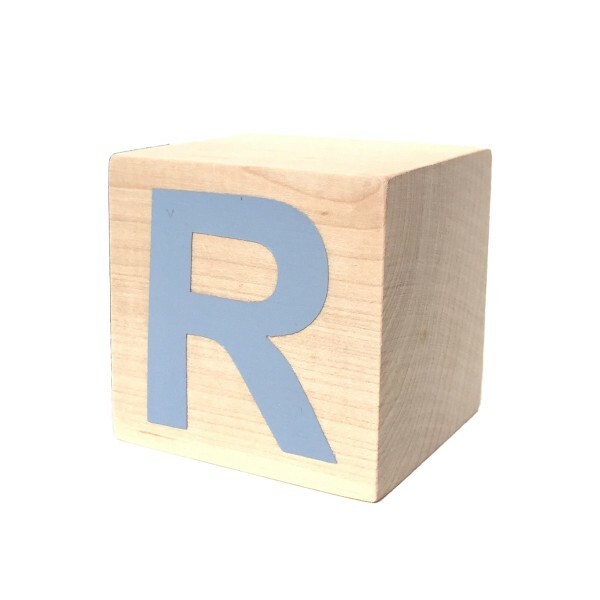 Modern Blocks’ Custom Name Blocks are perfect for name announcements, milestone photos or nursery decor. 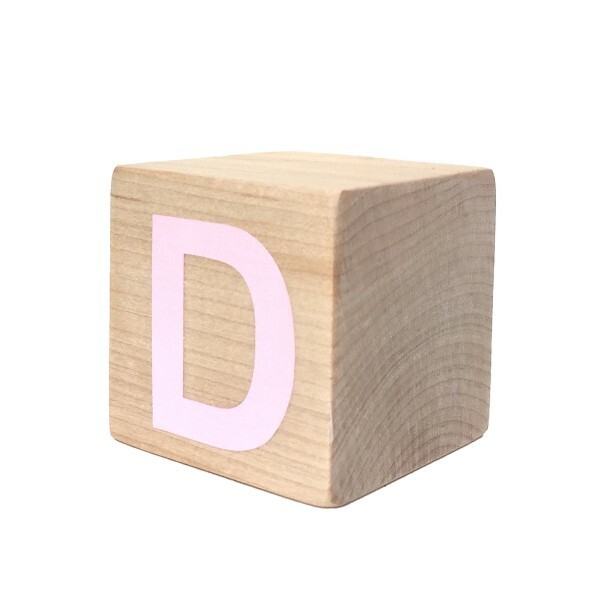 They’re also fun to play with! 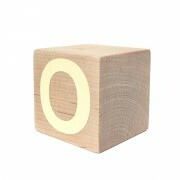 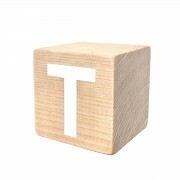 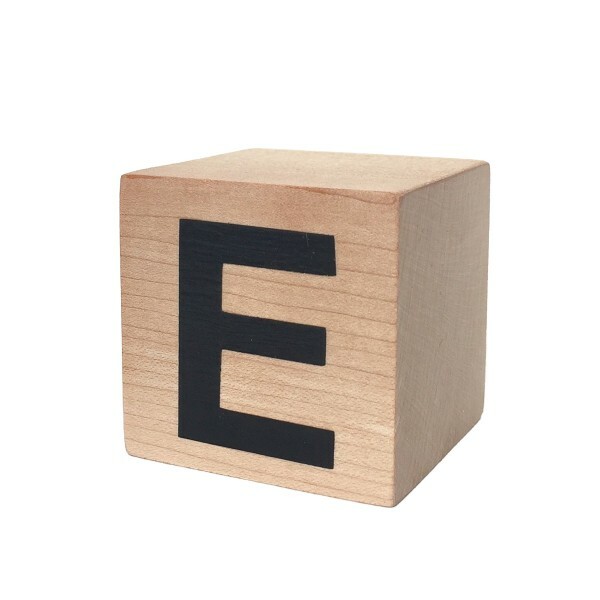 Made from untreated white birch, each block has a painted letter on a natural wood background.